Some people say that 7-inches is the tablet sweetspot — it’s big enough for books and movies but not too big to be cumbersome. And with Apple all but certain to enter the 7-inch tablet category with the iPad Mini, it’s safe to say that manufacturers agree and see that there may be a lot of lucrative potential in that size-range. 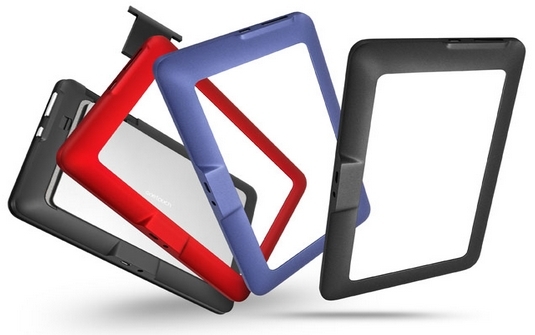 One manufacturer that also has its sights on the 7-inch market is French manufacturer Alcatel. Alcatel has just announced their own tablet to join the ranks of the Google Nexus 7 and the Kindle Fire HD and the upcoming iPad Mini, in the 7-inch category. According to reports, the device will be called the Alcatel One Touch Evo 7 and will come with a 1 GHz processor, MicroSD support and will run with Android 4.0 Ice Cream Sandwich. What’s interesting about the device is that it’s presented as a “modular tablet” — what that means is that it has an optional “3G module” that would give the otherwise WiFi only device 3G connectivity. The module also comes in different colors which is a plus for people who don’t want their device to just come in white or black. It’s not the most powerful sounding device and it certainly won’t be the one to dethrone the iPad Mini but I have to admit, it’s certainly “cute-looking.” That alone may be enough to get it some fans. Plus its Android OS and removable colored frames may appeal to people who want to be able to customize or personalize their devices. No word yet on pricing or availability but we’ll be sure to keep you posted. 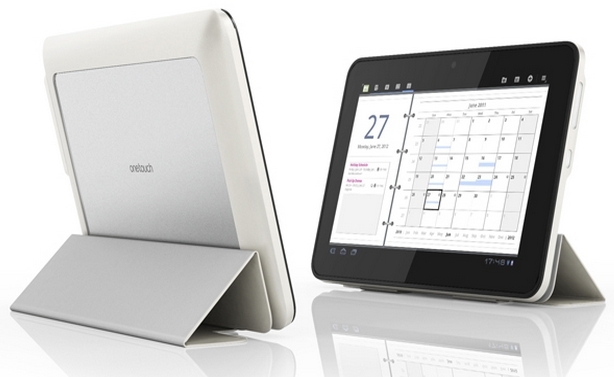 Would you pick the Alcatel One Touch Evo 7 over the iPad Mini or the Google Nexus 7? What do you think is a fair price for this device? Share your thoughts in the comments below!